Since 2012, I’ve been doing my Running Camps in the mountains of Zagori, Greece, and this summer we will be launching them in Spain, in the foothills of the Montseny mountain range just outside the village of Santa Maria de Palautordera – an ideal place to unwind from the stresses of everyday life , enjoy nature, tracks and fields or mountains and quiet while you learn everything you need to enjoy the long-term running smoothly. There, you can focus on finding the necessary balance which is essential for runners of all levels. 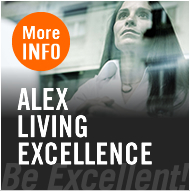 You’ll learn and develop the tools and habits needed to help yourself enjoy the long-term run and achieve your goals. 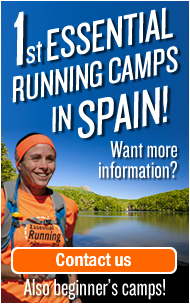 What’s involved in the Essential Running Camps? Designed to help each runner achieve their full potential both physically and mentally, while avoiding the most common mistakes made by most runners. Each day there will be guided training runs, with different groups according to the level of each runner, theory sessions, time for rest, and plenty of opportunities to share experiences and dreams with the rest of the runners. The training runs are designed for each group and may include routes on trails, mountain tracks, roads, rivers, peaks and even night training. These are designed for runners of all levels, from beginners to advanced who want to develop, strengthen and achieve their goals without injury, or major disappointments. They deal with mental preparation, strategy, injury prevention, nutrition, and the importance of rest and recovery, while teaching each person how to listen to their body. 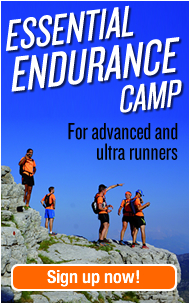 These are aimed at experienced runners who want to tackle longer distances and get more in depth theory on not only physical preparation, but more importantly in mental preparation, detailed planning, long-term goal setting, and individual issues such as nutrition, rest, recovery needs, and plans for long-term training. 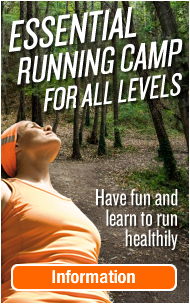 These camps are held over long weekends and are for beginners who want to start running safely and want to ensure that they don’t fall into making the most common mistakes of new runners. Our approach is tailored to each participant’s individual needs. These first camps are exclusive: there will only be gropus of 1-7 people, in order to ensure time for individual theory sessions with each participant as well as the group sessions. The food is organic, international, homemade, and menus are chosen for flavor , and also for optimum atheltic performance. “The return trip was fantastic, but the memories of the camp are unbeatable. Yesterday I saw the photos on the computer was very moved.